OurEnergyPolicy.org | Could Hydropower Flood America With New Power? After the events of COP21, the National Hydropower Association’s (NHA) goal to expand hydropower in America over the next few decades seems especially important. The existing hydro fleet was constructed over the course of an entire century and constitutes the longest-lived energy facilities in the world. Recent discussions between the American Hydropower Association and the Department of Energy have resulted in a plan to expand hydropower mainly by using existing non-powered dams for new power and pumped hydro storage. Almost 85% of America’s low-carbon energy sources come from hydropower (20%) and nuclear power (63%), which together avoid almost a billion tons of CO2 emissions each year. If we are to achieve any of the low-carbon goals we have set out for 2030 and beyond, hydropower must increase significantly. To date, there are about 2,200 hydroelectric plants nationwide totaling 80 GW of capacity, generating 7% of our electricity. About 70% of them are less than 10 MW in size, and half are privately-owned. While the Pacific Northwest leads the nation in installed capacity, the Northeast has the highest concentration of facilities, or number of dams. Of the 80,000 dams nationwide, only 3% are equipped to produce power. Converting dams into sources of generation however requires a complex and lengthy regulatory process that many consider to be antiquated and unnecessarily burdensome. Both the House and Senate recognize that the permitting process must be modified if hydropower capacity is to increase. However, until then, hydropower’s potential will remain frustrated. 1) What can policymakers do to address the regulatory hurdles preventing this low carbon source of generation from expanding domestically? 2) Is it reasonable to have large hydroelectric dams operate for well over 100 years – what are the safety issues? 3) How will global warming impact hydropower in places like the Pacific Northwest and California which are already experiencing drought? 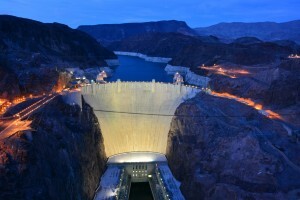 13 Responses to Could Hydropower Flood America With New Power? What needs to be done has been known for years. I think I first testified on the Hill concerning what should be done in 1999 although it has been evident since the mid 1980’s. The problem from a regulatory standpoint is diffused decision-making. There are too many agencies, Federal and state, that have essential veto authority over new hydro at new or existing dams. Few developers are willing to invest the first dollar with the degree of uncertainty associated with so many potential decision makers – National Forest Service (Section 4(e) conditions), National Marine Fisheries Service (Section 18 prescriptions), and the number one obstacle, the states (under the Clean Water Act section 401 certification). The Federal Energy Regulatory Commission (FERC) needs authority similar to what it administers under the Natural Gas Act for pipelines if the regulatory delays associated with hydro are ever going to be addressed. 2) A complicated question given all the types of hydropower structures that retain water but just one observation. It is not the dam but the site that is significant. Dams have been removed in the past that were no longer safe only to find the submerged remains of previous dam’s foundations. Maintaining a dam is a continuous process that FERC handles admirably. They can be maintained for long periods of time and finally rebuilt in place should the energy economics and the regulatory environment allow. 3) Droughts in the West have been part of the landscape for as long as I have been associated with hydropower, and obviously much longer. I believe it was in the late 70’s that the first of the 5 year droughts in California occurred where FERC had to reduce minimum flows downstream from seasonal storage structures and in the bypass reaches of the essentially run-of-river facilities. The point being the year on year hydrologic variability in the West is extreme and always has been (look at this year’s already existing snowpack compared to last year for the most recent example). Hydropower will still be the most reliable renewable regardless of what future hydrologic regime that someone deceives themselves into believing. If anything the belief that a future hydrologic condition will result in less water being available should be an incentive to construct new hydro facilities to make better use of available water for a growing population. Those new dams would just be another opportunity for hydropower. Excellent points, Mark, especially the one on FERC. I should have made #2 clearer in that I meant large hydropower dams like Grand Coulee. I cannot imagine it being decommissioned in even the next hundred years. Excellent points, but unlocking hydro’s potential does not involve only new developments. Many existing developments, both private and government, are tending towards the end of their life cycle, not so much as regards the dams- although that always needs to be investigated and dealt with – but in terms of installed water management and generation equipment nearing economic/technological obsolescence. Some of this is taken care of in private licenses being renewed, but often the economic penalties of environmental retrofitting can be steep. Governments have a somewhat different problem in upgrading in terms of finding management and financing, particularly as other governmental priorities divert resources. Like roads and airports, might this also be an area in which public/private partnerships could be used to good advantage? I think such partnerships would be ideal. Nearing the end of life-cycles is a huge issue across the energy spectrum. 110 GW is over 50 years old (mostly hydro with some coal), 440 GW is between 30 and 50 years, and 400 GW is between 10 and 30 years. Only 217 GW is under 10 years of age, mostly gas and wind. My only further comment is that solving the replacement/upgrade problem is the only presently feasible, climate friendly path to backstopping wind and solar resources, short of building more nuclear plants. Technological breakthroughs in battery or other storage are too uncertain, particularly with respect to timing and scale. And with existing dams, the incremental environmental harm from replacing what is already there is negligible. That’s 15 percent of current hydropower capacity. Accelerated approval for small applications, or applications using existing dams should be pushed due to their immense benefit and De minimus environmental impacts. As a result of the international COP 21 agreement on climate change, actions like this are imperative, and also helps meet Clean Air Act requirements, and provides resiliency and reliability of the electric grid. Agreed, this will take a global consensus and push to meet any climate goals economically. Since hydro and nuclear have historically been the only significant alternatives to coal, they both must be ramped up (doubled) by midcentury if we are to both aid the planet and eradicate global poverty. This last will require over 30 trillion kWh per year. Hydropower is proven, least-cost and a reliable form of renewable clean power. While there is potential to power non-powered dams, the biggest opportunity for hydropower in the Pacific Northwest is pumped storage. Additional new storage will help optimize the rivers of the Northwest by balancing the many demands placed these watersheds under the duress of climate change with extremely flexible generation. Pumped storage will also help integrate intermittent wind and solar energy, key for reducing carbon emissions. While navigating the FERC licensing process on a reasonable timeline is critical for investors and project finance, the immediate need for policymakers is to expedite appropriations towards the economic analysis and modeling of sub-hourly energy grid services and environmental benefits at a regional level is necessary to capture the revenue and cost savings these viable, large-scale pumped storage projects bring both as a generation and load in balancing non-dispatchable renewable energy cost-effectively. Good point, David Zayas told me that the NHA and DOE have targeted 24 GW of pumped storage as the major push in their 20-year plan, over twice that of pouring non-powered dams. The use of hydropower is a very mixed bag with much focus on traditional dams and pumped storage which in my view should not be considered at all as you need to put in more energy than you get out. I have been focused on hydro power for over 30 years and I have seen tidal solutions come and go, improvements in existing hydro power that are truly amazing but what I have not seen is creativity. Run of river systems that could add greatly to our energy future have been largely adaptions of wind turbine technology and have suffered because much critical base work has not been reviewed. They fail due largely to debris and limited size which limits their ability to perform in an economic fashion. Because of these failures funding has dropped to near zero, understandable but foolish. What I find most amazing is that the largest rivers in the world have not even been investigated in the last 30 years. I have some very old white papers from the British Royal Society that stated if you could extract just 1/10,000 of 1% of the energy that strikes the worlds oceans you could replace all other forms of energy used by man 7 times over. The question is how. If the worlds oceans are the largest solar collectors we will ever see how do we connect between them and our power grids. Consider this, the Gulf Stream has more flow than all the other rivers in the northern hemisphere. That is important but what is truly critical is that this form of hydro power can be considered to be base load. That will lead to a total rethink of renewable energy for that is the critical item that can be used to crush carbon generated energy. That is the true value for the renewable world has been focused since the beginning of getting the maximum energy from sources that are highly variable in supply. The closer they get to the highest energy sources the larger problem variability in supply becomes. So we now find ourselves in a position of trying to meet a highly variable demand with sources of supply that are more variable and have the additional problem of being unpredictable. No wonder we are having problems. I will be so bold to suggest that the highest cost of all traditional renewable systems is the variability of supply that will require back up generation systems, massive energy storage and demand control. Can each system come close to meeting the energy cost of carbon / nuclear yes if you do not consider all the other cost that come with those sources. What I believe is possible is to shift the focus from high density energy sources that are highly variable to renewable sources that are consistent. There are three sources that are capable of doing just that and two of them are hydro. What is most strange to me is that there is something called the supply/demand curve that represents the absolute limit to both the generation capacity and economic capacity of all existing carbon and nuclear power plants. THEY CAN NOT GENERATE MORE than the demand. They need to meet peak demand but seldom have to do so. That gives them one of the worst economic capital utilization rates of any industrial process. That is in the lower 40% range. They have just one variable fuel consumption. When you have a base load renewable of considerable size something amazing happens. You can turn one of your largest expenses into a profit generator. You are still limited by the supply/demand curve but anytime you generate more energy than the grid needs you have the ability to supply an alternate demand that you control within the power station. That being hydrogen generation. If in the future you can meet peak demand with this kind of renewable energy source and you can pay off the capital, operational expenses and labor by on grid performance than the remaining energy used to generate hydrogen can be considered to be in economic terms ONLY to be free energy. You have the ability to become a triple threat. If electricity is desired you can provide that, if hydrogen is needed you can provide that also and for the first time Synthetic fuel becomes an economic proposition. Best yet is that you will be operating with a capacity of utilization near 100% and that along with no fuel costs will give you an economic advantage over carbon/nuclear systems. While deniers debate global climate change it is much harder to deny lower energy costs. When I watch the Paris meeting all I can think of is that with existing technologies the renewable world is generating a party where everybody will wish to come last do to the fact that their solutions provide for higher energy costs in total. I suggest that we beat carbon at their strength, LOW COST. Do that and you for the first time use the capitalist system to your advantage. Then there will be a rush to be first to the party. I do not have a PHD and I expect little or no notice of what I have done. Nobody has yet asked if I have any PHD’s working with me, I do. I have been working totally without funding and I have solutions ready for testing first in laboratory testing and finally in proof of concept testing in the Mississippi River. Excellent info and thoughts, I need to digest and get back to you, but tidal does have a huge potential and would be caseload like you point out. James I am sorry but tidal has extremely limited potential in part due to the limited number of locations where there is sufficient tidal forces to extract energy from and the fact that tidal is one of the most variable sources. That variability means you will need to maintain the demand control we call the smart grid and massive storage. The ocean currents while relatively slow have the potential for far larger energy generation potential. That being said the whole world is racing towards energy density. Places with the most wind, sun, tidal forces and waves. I would suggest we are asking the wrong questions. Contact me privately if you wish to know more about the economics and the potentials. In addition I would suggest you look on the internet for a 1943 U.S. NAVY Ocean Currents map. Download and print it to the largest scale you feel you need. Any place the lines of flow come together in tight bands you can extract energy at a fraction of the cost of new carbon facilities and be totally green. The political implications of blending synthetic fuel technology with base load renewable systems will allow much of the world to become totally independent of OPEC and the big willer will be the society that can build the equipment that will both give us low cost green electrical energy and carbon neutral hydrocarbons that well will continue to need.